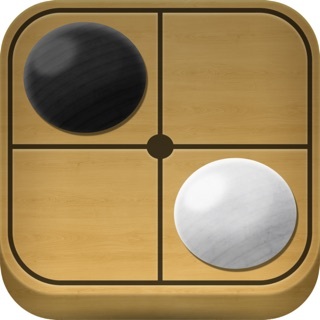 SmartGo Kifu transforms your iPad into a Go board with a library of over 100,000 professional game records and 2,000 problems. Study master games, solve problems, explore joseki, play against the computer, and record you own games. SmartGo Kifu is designed as a versatile tool for Go players who want to study professional games, practice Go problems, record their games, as well as play against the computer. If you're new to Go or just want a quick and challenging game against the computer, please check out our popular SmartGo Player app. 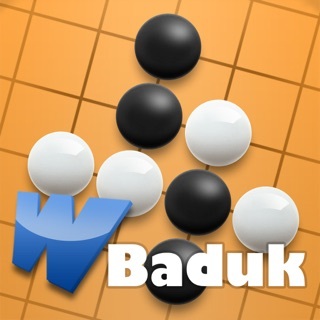 Go is also known as igo (囲碁), wéiqí (围棋), or baduk (바둑). - Updated GoGoD game collection of 102,718 games. - Fix a bug where SmartGo sometimes stopped playing. I’ve seen some comments from people who say the computer is either weak or doesn’t play right. That may be the case for advanced players but for a casual/beginner player the software is more than adequate especially if you are 10k or less. Almost all the features one may need are available. You can replay. Create alternative movement trees and save the game with alternative lines or play. You can set software to take different number or seconds to make a move. It makes sense when you compare difficulty levels against each other only because depending on the calculating ability of the device you’ll get better or worse results. You can use the area and point estimation feature as well. You also get almost a hundred thousand games played by pros, famous players, including very old games from before the 20th century. My gripes are the limited appearance feature. The developers should add more colors of the board, more different stones, and a night mode, or a sort of “zen mode” to only be able to see the board. The computer at its default setting does such sporadic play that basic Joseki goes right out the window and is absolutely no help in building a players skills. You have to set it on the maximum difficulty get a game that is even remotely close to what you would see in a human interaction and then becomes way too hard to play for beginners. For a “smart” system it’s makes some really unorthodox plays. The go problems and pro games are a nice study, but what you learn from the move patterns does not transfer to an actual game because the computer just plays wherever. It would be nice if it followed modern joseki!!!! This is an app that keeps updating with fresh new content (including the AlphaGo games among others), and it's a shame that every update wipes the reviews clean. Which is why I'm leaving this review now. It'll disappear pretty quickly, I'm sure, but as a longtime user, I'm very satisfied with the huge amount of content this app offers, and I'm happy for this opportunity to slap another "5" on the record books. More Go than I know what to do with. Awesome.